The Hill's Global Symposium 2018 will be available free of charge to veterinarians, veterinary nurses and veterinary students anywhere in the world through a unique 24-hour educational livestream. This live access will be a Hills global first in the veterinary sector. 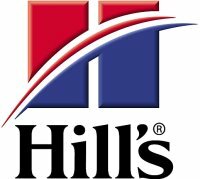 The Hills Global Symposium aims to inspire and educate veterinarians and veterinary health care team members to use nutrition to improve pets lives, said Dr. Jolle Kirpensteijn, Chief Professional Veterinary Officer at Hills US. It is already a highlight of the global world CE calendar but, for 2018, we are taking it to a whole new level with the unique 24-hour educational livestream. This will enable us to create an opportunity for veterinarians anywhere in the world to join us for a stellar educational experience directly from the comfort of their clinic or home. The Global Symposium takes place on April 27-28, 2018, in Lisbon, Portugal, and will be attended by 200 veterinarians from more than 30 countries. In addition to the livestream, the symposium will be available for on-demand content between June 1, 2018, and May 31, 2019. Delegates attending in person will also be able to review lectures they attended and share them with colleagues. The theme of this years Global Symposium is Adventures of Ageing: Early Chronic Kidney Disease & Growing Older. Veterinarians are treating an ever-increasing number of elderly dogs and cats, many of whose lives have been prolonged through advances in veterinary medicine. Helping these animals age healthily is a rapidly growing area of practice and one in which nutrition plays a key role, according to Dr Iveta Becvarova, Director of Global Academic and Professional Affairs at Hills Pet Nutrition, and organizer of this years event. During the Global Symposium, veterinary experts from around the world will discuss the implications of recent research into aged dogs and cats by Hills, early chronic kidney disease (CKD) and the key role of nutrition in increasing both quality and length of life. With fake news and Dr Google causing confusion among some pet parents, speakers will also advise members of the veterinary healthcare team on strategies to debunk potentially misleading and inaccurate information, and give practical advice on optimizing practice performance through the use of social media and e-commerce. Dr. Iveta Becvarova said: With many pets living longer, we see a growing interest from veterinarians around the world in understanding the difference between aging and disease, and in learning more about helping their patients to age healthily. Chronic kidney disease (CKD) in particular is a common cause of morbidity and mortality in older dogs and cats. Nutritional management is the gold standard for any dog or cat with CKD, with research showing that appropriate dietary management will improve quality and quantity of life for these patients. 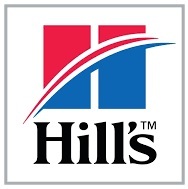 For each delegate who registers for the Hills Global Symposium, either live in Lisbon or via the 24-hour livestream, Hills will make a 1 donation to Dogs for Good, a UK-based charity that trains and provides accredited assistance dogs to people with physical disabilities, elderly people and children with autism (up to a total amount of 10,000). The full agenda for the Hills Global Symposium and registration details are available at www.hillsglobalsymposium.com.